We're going on a fun little family weekend vacation and I'm getting into the mood to relax and have fun. What's a better way to compliment that on the blog than to host a round of giveaways, hmm? I have stacks of books sitting around that I need to clear off and I'd rather like to pass some on to you all. So what books and things are up for grabs? #1 - Pajama School by Natalie Wickham. I recently reviewed this book over at 5 Minutes for Books. When I was almost done reading the book I told Jennifer that I was having a hard time being REAL excited about the book because, to me, it was almost the story of MY life. I was raised home schooled. I was familiar with the programs that Wickham talks about. We have a similar personality. The comparisons become kinda freaky in moments. At any rate, Jennifer told me that while the book was familiar to me - it wasn't familiar to everyone. Per usual - she was right! What I was most interested in seeing from the comments left at 5 Minutes for Books is that there really are parents (home schooling ones and otherwise) who really do need encouragement to home school. To me, it's just Something That We Did and doesn't feel all that remarkable. However, I guess it really isn't the "norm" these days and people still have questions about "how home schooling works." Pajama School may or may not be helpful to you, but I bet it will be interesting. By the way, if you are interested in learning more about this book, visit author Natalie Wickham's website by clicking here. To win: Leave a comment below stating that you would like to win Pajama School. That's all! #2 - At the Scent of Water, by Linda Nichols. (See my recent book review of At the Scent of Water.) Loved this book! Won't likely reread it though but did really, really enjoy it. Figured I would pass along the opportunity to enjoy it to one of you! To win: Leave a comment below saying that you would like to win a copy of At the Scent of Water. That's all! 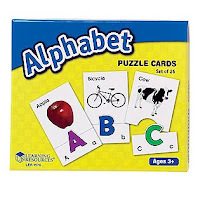 #4 - Alphabet Puzzle Cards from Learning Resources. I reviewed some early reading materials from Learning Resources over at 5 Minutes for Books and these puzzle cards were included. Go read my review of these games at 5 Minutes for Books. To win: Click through 5 Minutes for Books onto the Learning Resources site (you'll be there anyway by reading the original review). Find something on the Learning Resources site that you think you might be interested in and come back HERE and tell me what that thing is. Leave a comment below telling me something that you liked on the Learning Resources site and I'll know to enter you into this drawing. Other than that, have fun and have a great weekend! All contests close on Saturday, July 25th. Make sure to leave a valid e-mail address for me to contact you. REMEMBER: ONE COMMENT PER ENTRY. If you leave one comment, the chances of you being counted only once are quite high. I subscribe to the blog through my RSS feed so enter me TWICE!!! Since I was asking you about Nichols's books, you know I'm interested in At the Scent of Water. Left a comment for poor Pluto after reading your review and am interested the Pluto Files. And as my second entry for both, you know that I'm subscribed to your feed in Google Reader! I would love to win either Pajama School or The Scent of Water. I subscribe through google reader so please enter me twice. I want the Alphabet Puzzle Cards. I teach kindergarten. I love the Alphabet StepnSlell reviewed on 5Minutesfor Books. I would like to win The Scent of Water. And, I subscribe on Google Reader! I left a comment on The Pluto Files because that sounds good too. What a fun thing to do! I'd be interested in At the Scent of Water. I would love to win The Scent of Water. I would love to win Pajama School! Thanks Carrie - Your blog is great! I am also a subscriber! Thank you! I would like to win The Pluto File. I did read it, I did leave a comment, and I would love to read it! I would love to win Pajama School! Would love to win At The Scent Of Water! 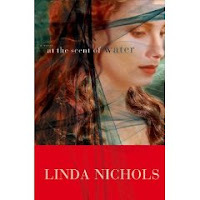 I would love to win At the Scent of Water, by Linda Nichols. I've heard so many good reviews about it. Thanks! I think that that the Alpha-Bug Step-n-Spell game is terrific! LOL! Alright, I'm a Google girl, I've read your review, posted a comment on 5mins for books, and am interested in winning the Pluto Files. Have a great vacation! BTW: You are on my Facebook page now! LOL! Put me down for At the Scent of Water. I'm an RSS subsciber, too! Please include me in the At the Scent of Water drawing. Thanks. i'd love pajama school, and i'd pass it on to my favorite daughter!!! I would love to win The Scent of Water! And I already subscribe to your blog through Google Reader. Thanks! I'd love to win Pajama School - sounds like a great read, and as I'm embarking on the home school journey with my little on, I think I'll be inspired! 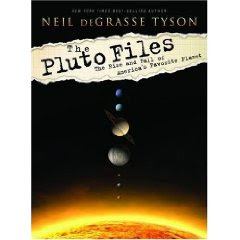 The Pluto Files definitely looks like a great read. I like science books, and when the author has a sense of humor, that's even better! I'd love to win this one - and I just made a comment on your review post. I would like to win "At the Scent of Water"
I would enjoy Pajama School. I would also enjoy The Scent of Water. I would like to read and win Pajama School! I love the cover At the Scent of Water and I'm interested in the story. I'd love to win it. I read your review of The Pluto Files and left a comment there. In fact, I just mistook The Pluto Files for The Pluto "Flies." In a way, I think it flies away. :P I would like to win The Pluto Files. I'm crossing my fingers. Ha ha -- yes, yes I'm always right. What a great idea. I see that you are becoming like me with your books -- very very discriminating about what you keep. I am definitely that way. 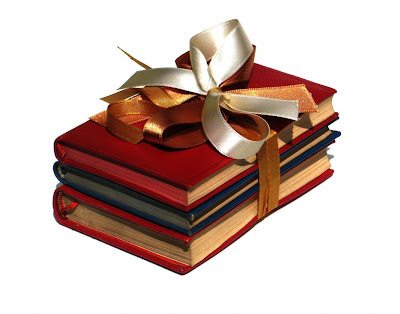 I love loaning my books out and usually say, "I don't really need it back -- keep it or pass it around." If I really like it, I'll say, "I'd probably like to have this back sometime." I did give a book away (to the library or something), and I've been having "giver's remorse." I really wish I had kept it. Oh well. All that to say that I'd love to win the Pluto Files. I would love to enter for the Pajama School. I'm really very interested in homeschooling. I know some kids that are, but not much about other people so it sounds like a great book. I'd love, love to win Pajama School! I would love to win The Scent of Water. I'm always looking for new books to read and it seems like an interesting one! I would love to win "The Scent of Water"! I would like to win a copy of At the Scent of Water. Please enter me. Thanks for having this great giveaway. I would like to win "Pajama School by Natalie Wickham" Please. I would love to win Pajama School! Thanks for the giveaway! I would love to win Pajama School or At the Scent of Water!!! I just stumbled upon your blog and LOVE it! You can email me at lovingcjm@me.com! I would like to win At the Scent of Water. Thanks for the giveaway.